There are 152 active listings of houses, condos and townhomes which is 14% less inventory when compared to last year (176). 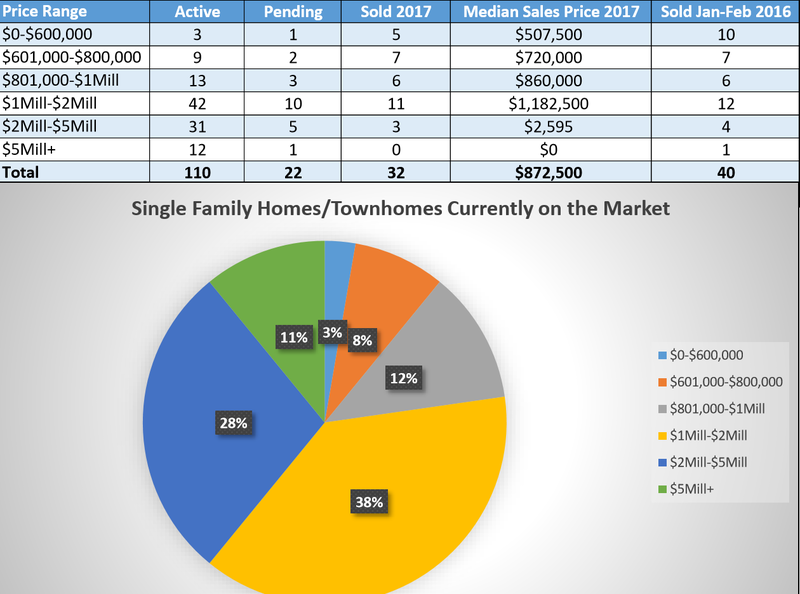 Of the 110 single family homes and townhomes for sale only 23% are under $1 million, with majority of available homes for sale, 39%, being over the 2 million mark. The median listing price is $1,595,000 and the median sold price for the last 3 months is $872,500, so there is quite a gap between what is available and what people are buying. , the number of sold homes is on the rise proving that the Incline Village real estate market is still going strong. 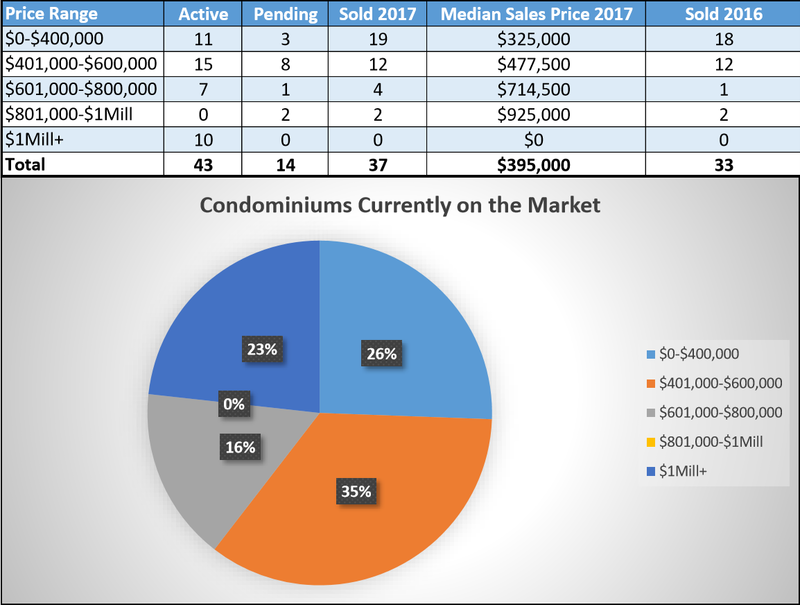 Of the 43 condominiums for sale (which represents 38% less inventory when compared to last year with 69 active condominiums), the majority of them, 61%, are under $600,000. Only 23% are over $1 million. The median sold price ($395,000) increased by 7% when compared to the same period of time in 2016 ($370,000) proving that the Incline Village real estate market is still going strong.